We stayed for 3 nights in total; first two nights and after a 3-days desert tour one more night. Ismael was very friendly and helpful and it was no problem to leave some stuff at the hostel when we left for the desert tour. The location is perfect and the hostel is very clean and quiet. 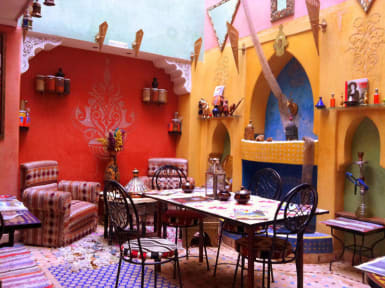 I would highly recommend Riad Layla Rouge if you’re going to visit Marrakech. Absolutely a great place. Great location, authentic interior and the kindest staff!! Loved our stay here. Very friendly staff, clean, nice atmosphere and great location! Best hostel in Marrakech!